Travel theme: Edge | Where's my backpack? I didn’t get enough sleep last night and am a little on edge, so I’m funneling my edginess into this week’s travel theme. Here are a few edgy moments I’ve encountered along the way. The edge of Croton Dam where the water starts to tumble over the spillway. Looking over the edge of a speedboat on Lake Atitlán, I caught a little of the boat’s spray in the bottom of the frame. 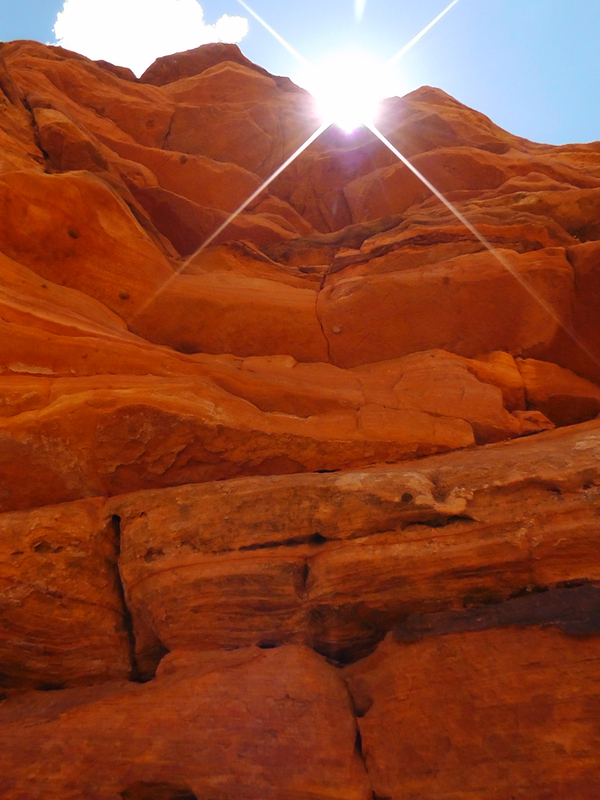 Sun peeps over the edge of a slot canyon in Zion National Park. 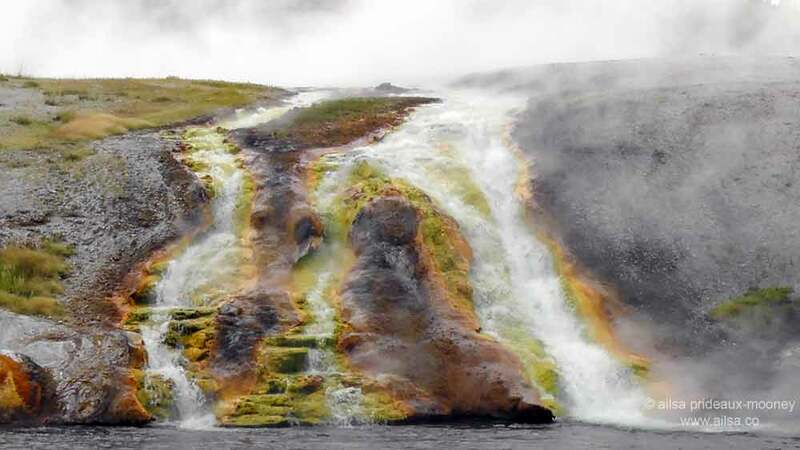 Vibrant colours trace the edge of a sulphur waterfall in Yellowstone National Park. I love the photo from Yellowstone Park. Someday I’ll get there to see it myself. YES, you’ve posted another photo of the sulphur waterfall. 😀 So very beautiful! As is the peeking sun in Zion National Park. Thanks for another great challenge, Ailsa. I hope you have recovered! Great shots and I love Zion of course…My favourite pick will be the dam – your first shot. Somehow it speaks to me…a rounded and smooth edge? Hope you get good rest and recover this upcoming weekend, Ailsa. I love this theme. Great selections. I remember Zion! What a beautiful space and what a beautiful image you captured there. I like your shots of Zion and Yellowstone. I’m going to add my vote to the sulfur waterfall. Love it! Favourite WMB shot of the week has to be…well, all of them! Water going over spillways, especially here in Australia, is such a rare thing. Nice vision Ailsa.